US Brick & Block Systems, LLC. is one of the largest brick paving, precast stone and retaining wall installation companies in Florida. We have earned a reputation for providing quality service to homeowners and top developers since 1979. U.S. Brick & Block Systems is a fully insured, bonded and certified licensed general contractor serving south and central Florida. Our professionally trained staff has the industry knowledge to assist you with choosing the perfect hardscape application to compliment your home or business. US Brick & Block Systems, LLC. can creatively design a unique tailored look to fit your project's specific needs. Established in 2012, Beautify Your Yard has become one of the finest providers of landscape designs that the entire area has to offer. We take great pride in being one of the most preferred companies in Port St. Lucie, FL, and our motivation to excel at everything we undertake has managed to earn the trust of countless local clients. They immediately notice the difference in our approach and appreciate our dedication to the work we do as a provider of a first class lawn maintenance service and full service landscaping company. 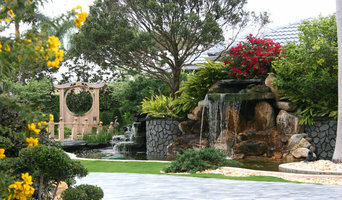 Landscaping by Anthony specializes in start to finish comprehensive construction with attention to detail. This involves custom hardscape, complex drainage systems, retaining walls, zone area irrigation systems based on sun, shade, run off, etc. We also strongly believe in and incorporate, proper soil conditioning and preparation. The planting and horticultural aspect is then incorporated to thrive and complement the environment that has been prepared for it. 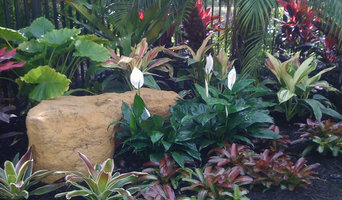 Organic Solutions is a full service landscape design-build, renovation, and maintenance management company specializing in Organic Fertilization. This innovative concept feeds the soil and plants with nutrients and amendments through the irrigation system, creating a healthy and sustainable landscape by saving water, fertilizer and pesticide use. By changing the soil biology and building the proper nutrient base is what allows Organic Solutions to maintain landscape quality at a high level yet using minimal water. Chuck Smith opened Alpha-Zeta Enterprises in Palm City, Florida, after moving from Cape Cod, Massachusetts. Started with one truck and a shovel, what is now known as one of the finest landscaping services in Martin County and surrounding areas. Celtic Pavers is a family owned and operated business serving Broward, Dade & Palm Beach Counties. 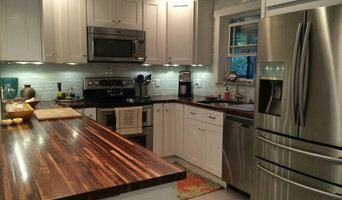 Our business focuses on residential makeovers and beautifications. A hardscape (paver) makeover will not only make your property more attractive but increase the resale value of your home. If you have a project in mind, call us for a free onsite design appointment. *Belgard Authorized Contractor* PUP Pavers is a family-owned, family-operated specialist in marble and brick pavers. 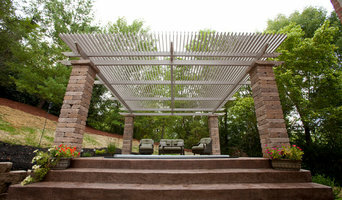 We design and install statement-making outdoor surfaces that are a lasting investment in quality and timeless beauty. The PUP Pavers Team takes great pride in providing our customers with the highest level of customer service, top-quality products, and superior workmanship. 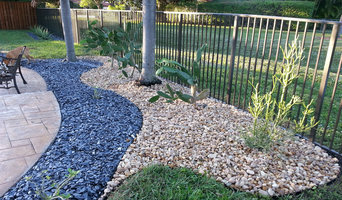 Serving Palm Beach and Martin County for over 18 years, Tina and her team of experts have built an excellent reputation in the brick paver industry. Blue Sky Landscaping,Inc. has been designing and building complete creative environments since 1984.Each custom 'Artscape' is designed specifically to our clients needs .